Canadians in provinces that use daylight saving time during the summer months will need to adjust their clocks back by an hour at 2 a.m. on Sunday Nov. 1 for the switch to local standard time. It's time to reset the clocks and "fall back" this weekend. Canadians in provinces that use daylight saving time during the summer months will need to turn their clocks back by an hour at 2 a.m. on Sunday Nov. 1 for the switch to local standard time (although it's probably a good idea to do it before heading to bed Saturday night). In other words, at 2 a.m. local time on Sunday the clocks officially roll back to 1 a.m. and people will get an extra hour in bed. Daylight saving time: Should it be abolished? Daylight saving time was proposed by New Zealand scientist George Hudson in 1895, and first used in Germany during the First World War with the goal of saving energy. The idea is to take advantage of daylight hours in the spring so that people don't sleep through the first few hours of sunshine. The time changes are scheduled for 2 a.m. on Sundays to create the minimal amount of disruption to daily life. 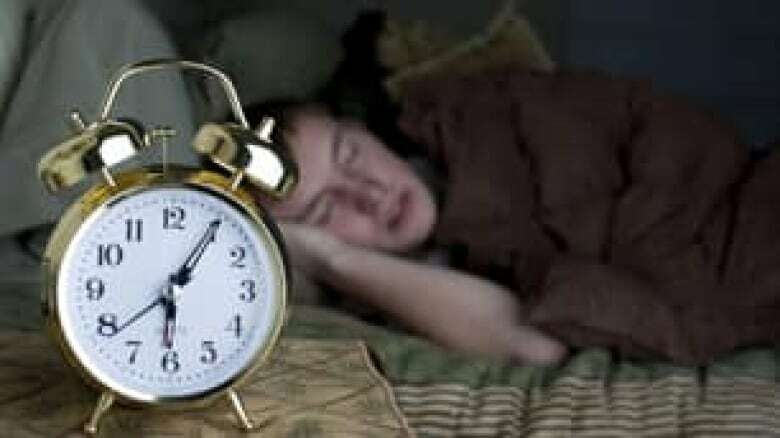 Although "falling back" or reverting to standard time is generally thought to be less physically stressful than the clock springing-forward, since people get an extra hour to sleep that morning, research indicates that even a relatively small 60-minute time change can have effects on the body, health and even traffic safety. That has fuelled debate over whether the practice is worthwhile. In a March 2013 telephone survey of 1,000 adults by Rasmussen Reports in the U.S., for example, 45 per cent of people thought it wasn't, and 19 per cent were unsure. Meanwhile, the town of Atikokan, Ont. — one of three Ontario communities that do not use daylight saving time — is not eager to embrace DST, but is considering it mainly because the change could make it easier to co-ordinate schedules for things like regional medical services if the community were on the same time as its neighbours. "It does create a lot of controversy ... when it's being discussed," Mayor Dennis Brown told CBCNews.ca. Here are six eye-opening facts and figures about springing forward and falling back. A study presented to the American College of Cardiology in March 2014, based on data collected from Michigan hospitals between 2010 and 2013, indicated that the number of patients admitted for heart attacks spiked 25 per cent on the Monday immediately after clocks sprang forward for daylight saving time (the first day when the average person had to get up an hour earlier for work). The study's authors were careful to note that they had not proved a definitive link to the time change itself or changes in sleep patterns. A 2012 study by the University of Alabama at Birmingham found that springing forward by an hour was associated with a 10 per cent increase in the risk of heart attack over the following 48 hours, but it also did not pinpoint the reason. The study found a corresponding 10 per cent decrease in heart attack risk over the 48 hours after people "fall back" and gain an extra sleeping hour in the fall. A Swedish study published in the New England Journal of Medicine in 2008 found a higher incidence of heart attacks — approximately a seven per cent increase — in the first three weekdays after the clocks spring forward, which researchers did attribute to a lack of sleep. They also noted a similar decrease in the incidence of heart attacks when the clocks fall back. The information was based on Swedish records collected over a 20-year period. "The most plausible explanation for our findings is the adverse effect of sleep deprivation on cardiovascular health," the researchers wrote. The time change has also been associated with an increase in road-related accidents. After the clocks were moved forward an hour on Sunday in spring 2014 for daylight saving time, there was a 20 per cent increase in crashes on Manitoba roads on the Monday compared to all other Mondays that year, according to Manitoba Public Insurance. "You want to make sure that you're properly rested on the Monday heading in to work," MPI spokesperson Brian Smiley told CBC News. An October 2014 study by the University of Colorado (Boulder) looked at records of fatal car crashes in the United States. It noted a 17 per cent rise in traffic accident-related deaths on the Monday after clocks moved forward an hour in the spring. The study's author, Austin Smith, writes that accident data indicated "a short-run increase in fatal crashes following the spring transition," that lasted about a week, and "no aggregate impact in the fall" when clocks were moved back an hour. Those findings are similar to the results of research at the University of British Columbia. Set your alarm to wake up a little earlier than usual on the Saturday and Sunday of the spring time change. This helps your body adjust to the change on the weekend, and can make it easier to get out of bed on Monday morning. Eat a healthy breakfast first thing in the morning. Food is a trigger that can help tell your body it is the start of the day. Spend time in well-lit rooms — or outside in sunlight — to help your body clock properly adjust. 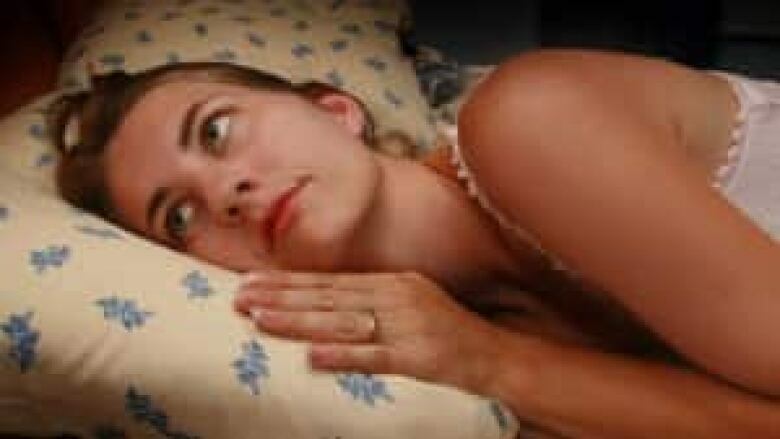 "We live in a society that is chronically sleep-deprived, and very bad things happen when chronic sleep deprivation is an issue," UBC sleep expert Stanley Coren told CBC News in a 2013 interview. "Spring daylight saving time is a period when people lose a little extra time. Looking at different types of accidents, we found a five to seven per cent increase in accident fatalities during the three days following spring daylight saving time." However, drivers also need to pay extra attention after the fall time change, according to U.S. research. A study by researchers at Carnegie Mellon University in Pittsburgh in 2007 found that the time switch seems to have an impact on the number of pedestrians killed by vehicles in the immediate aftermath of the change back to standard time in the fall. People walking during rush hour in the first few weeks after the clocks fall back in the autumn were more than three times as likely to be fatally struck by cars than before the change. Time of day was cited as a factor in the findings — there was no significant difference in pedestrian accidents at noon, but number rose around 6 p.m. after clocks had been moved back an hour. The researchers, who looked at seven years of U.S. traffic statistics, also found there was a decrease in pedestrian deaths in the evening when clocks spring forward. It isn't sleep issues or the darkness per se that increases the number of deaths in the fall, the researchers suggested. Rather, it's that drivers and pedestrians have spent the previous months getting used to the light conditions, and don't immediately adjust their behaviour to account for less light during morning rush hour. Still, UBC's Coren added that daylight time does save lives in the long run, according to statistics. "People die during the period directly following the spring shift, but traffic accident data show that accidents occur much more during the dark or lower illumination than during daylight hours," he said. "Over the time that daylight saving time is in effect, people get up and return home while the highways are brighter. This occurs over a period of months, so although daylight saving time causes an initial hazard, in the end there is a life-saving benefit. There is nothing that comes without its cost, and in this case the cost of saving lives in the long-term is losing lives in the short-term." The change of waking time coupled with earlier nightfall throws off your internal clock, so make sure you're alert at all times and never drive while overtired. The shift from drowsy to asleep can happen more quickly than people think, which is very dangerous. Ensure all interior lights are off in the car and that onboard navigation devices are dimmed so the bright lights don't distract you. Be aware of all drivers on the road. Just because you're wide awake and focused doesn't mean that your fellow drivers are as well. Be aware of swaying between lanes and abrupt stops. Although most people are able to adjust to the biologically earlier schedule after the clocks move ahead in spring, those who suffer from sleep disorders have a much harder time, according to Judith Davidson, an adjunct assistant professor at Queen's University in Kingston, Ont. People suffering from insomnia often have a much harder time getting used to the time change. (iStock)Much of the treatment of insomnia involves getting people onto a regular sleep schedule, and the time change can throw that off, she said. "They always take a long time to fall asleep, but it's a bit accentuated by the spring time-change," said Davidson, who treats people for insomnia at the Kingston Family Health Centre. That can mean several days or even a week of poor sleep for those suffering from insomnia. Take advantage of the opportunity to get an extra hour of sleep. Don't stay up later in anticipation of the time change. Eat healthy and make sure you have a good breakfast, since mealtimes can act as a trigger to help your body clock readjust. Stay hydrated. Avoid caffeinated beverages, since too much caffeine can further disrupt your natural sleep rhythm. Increase your exposure to bright light and physical activity during the day and until late afternoon/early evening to help compensate for the overall reduction of daylight hours. Get your daily dose of Vitamin D. The best ways to get the Vitamin D you need are to get adequate sun exposure (15 to 30 minutes per day in summer/southern regions — it's very difficult to get enough exposure in winter in northern regions because of reduced UV levels), or to take vitamin D supplements. Drivers should be extra alert — pull over if you're driving and feel drowsy. The only cure for sleepiness is sleep. Opening the window or turning up the radio are not effective ways to stay awake. Daylight time isn't used everywhere in the world. Saskatchewan and some parts of B.C. don't use it, for example, nor do Arizona and Hawaii in the U.S. It is unnecessary at or near the equator, because the length of each day remains the same or varies by just a small amount. The vast majority of countries in Africa and Asia don't use daylight saving time. Fall back and time paradoxes? Apart from messing with sleep cycles, daylight time can create some downright unusual situations. In 2012, an Ohio man was arrested for drinking and driving twice at the same time on the same day by the same police officer. While it recalls Groundhog Day, the comedy film starring Bill Murray about a man who keeps reliving the same day, it's actually a case of simple math. The Ohio man was arrested at 1:08 a.m. on Nov. 4, 2012, taken to the police station and released a short time later. However, at 2 a.m. that morning, the clocks were set back to 1 a.m. The man was arrested exactly one hour after his initial booking by the same officer, again for drinking and driving. The time was 1:08 a.m. His blood-alcohol level, however, was slightly lower. The cost of an hour? 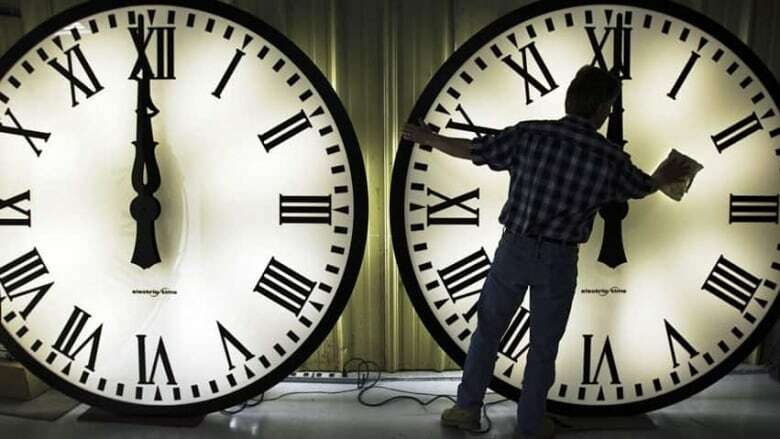 There have been a number of attempts to estimate the cost of daylight saving time, factoring in everything from sleep deprivation and related health bills, through to the time lost to the simple act of resetting all the clocks in millions of households twice a year. One such effort, the Chmura Economics & Analytics study entitled Estimating the Economic Loss of Daylight Saving Time for U.S. Metropolitan Statistical Areas, suggests daylight time costs the United States about $434 million per year, based on 2010 population figures. Sleep issues aside, the annual time changes can be a handy way to remember to do something that can protect your home or business. Fire departments recommend that people use the twice-yearly changes to their clocks to put new batteries in their smoke and carbon monoxide detectors. When you change the time on your clocks, check the batteries in your detectors at the same time and swap them for fresh ones if their charge is low. 2015: Fall back Sunday, Nov. 1 at 2 a.m.
2016: Spring forward Sunday, March 13 at 2 a.m. Fall back Sunday, Nov. 6 at 2 a.m.
2017: Spring forward Sunday, March 12 at 2 a.m. Fall back Sunday, Nov. 5 at 2 a.m.
2018: Spring forward Sunday, March 11 at 2 a.m. Fall back Sunday, Nov. 4 at 2 a.m.
2019: Spring forward Sunday, March 10 at 2 a.m. Fall back Sunday, Nov. 3 at 2 a.m.